During Sony’s press conference earlier today, Square Enix announced yet another Kingdom Hearts HD title. 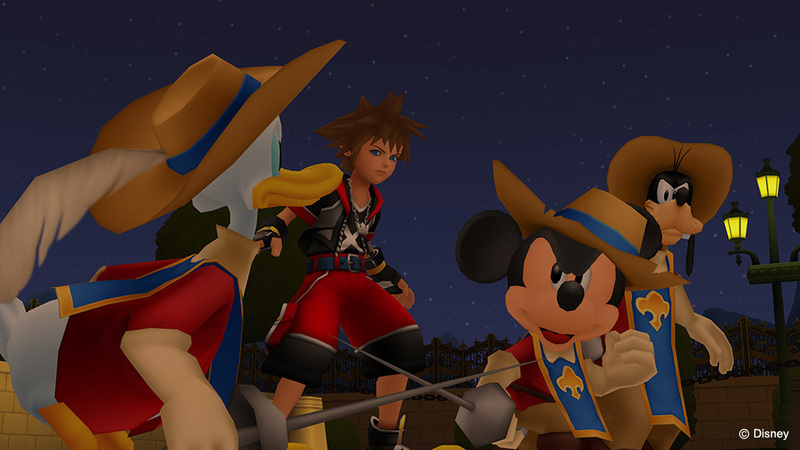 The game, entitled Kingdom Hearts HD 2.8 Final Chapter Prologue will be coming to PlayStation 4 in 2016. The bulk of the collection is the HD remaster of Kingdom Hearts Dream Drop Distance. A title which originally released in 2012 on 3DS. The collection also includes Kingdom Hearts 0.2 Birth By Sleep. This is a completely new episode that serves as a continuation of Birth By Sleep, and also as a prologue for Kingdom Hearts 3. The final item included is a new HD movie called Kingdom Hearts x Back Cover. This movie covers the story of the Foretellers and links to older elements of the franchise. The Foretellers are also showcased in the upcoming mobile Kingdom Hearts title. This franchise has always been an awkward one for fans to follow. All the games are seemingly important, yet the series jumped from console to console with each iteration. I thought that Square Enix would finally sort the mess out and have every title playable on current gen. Unfortunately it looks like you’ll have to play the first two HD collections on PS3 and then pick this up for PS4 to get the full story. For new gamers who are looking to play KH3 this is a very confusing way of doing things. It’s especially unfair to Xbox One owners as KH3 will be the first title available on a Microsoft console. Perhaps Square Enix will sort this out with an ultimate HD collection sometime next year. Only time will tell. An official announcement trailer will be coming on September 17th.